What does your job shop schedule look like? Is it a dry-erase board with half a dozen colors on it? Is it buried on your computer somewhere, difficult to find for those who really need to access it, much less use it productively? Job shop scheduling software may just be the answer you’ve been looking for to help you keep track of multiple jobs and tasks, especially if you want to stay competitive and grow your business. You might want to consider integrating production planning and scheduling software into your current applications, or going with a turnkey, total solution approach for better monitoring and control, so you can operate at peak productivity with minimum downtime for switching. Scheduling software is designed to eliminate the bottlenecks and accompanying stress of outmoded scheduling methods. It enables you to see and meet all your deliveries, and adjust to the variables like moved deadlines, change orders, machine and labor breakdowns, etc. A good scheduling software allows job shop management to track every aspect of a job from ordering to delivery to payment. Job shop scheduling software is often part of a larger turnkey software package or total solution, as it’s often referred to. A key component of resource planning software (see ERP), scheduling manufacturing production is based in scientific principles that I’ll leave to the mathematicians and lean manufacturing experts to explain. But suffice it to say a good comprehensive job shop software solution should have a scheduling component that’s easy to put in place and run. Customers who choose a stand-alone version often wind up doing much more work than anticipated, particularly when it comes to data input. treats the part can make it appear like one part is actually five or six or more different items. Turnkey ERP software helps streamline integration between all your shop’s functions, allowing you to look at all of them and see one part instead of multiple items. This kind of ERP is a good choice for small to medium-sized job shops. A stand-alone scheduling solution, while in most – but not all – cases cheaper than an enterprise-wide software package, is not necessarily the answer in terms of integrating with existing systems, scalability and total cost. More often than not, customers who choose a stand-alone version wind up doing much more work than anticipated, particularly when it comes to data input. In addition, custom ERP, by contrast to both stand alone scheduling and total ERP solutions like Shoptech’s E2, is purpose-built for the needs of a given business. This kind of ERP is commonly used in large enterprises such as automobile manufacturers and computer hardware assembly plants because such scheduling software has to work with proprietary software which is not available to the general public. Custom ERP may cost several times what a turnkey ERP system does, and it is unusual to find a smaller business using proprietary systems which would justify the expense of bringing in a programmer to customize an ERP solution. Custom solutions such as these are cost prohibitive for most job shops. 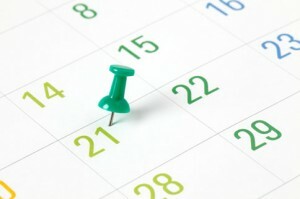 Scheduling software has a wide variety of applications even in a small job shop. From tracking orders to verifying inventory to producing manifests and bills, scheduling software is intended to unify all software operations under a single umbrella system. This is helpful because it reduces errors that can occur when a part labeled “X” in CAD is labeled “Y” in ERP and “XYZ” on a bill of material. In addition, it makes adding new parts, inventory or materials to the system simple and efficient by consolidating every mode of reporting into a single format which decreases redundancy and allows every part of the system to “talk” to every other. … job shop scheduling software makes adding new parts, inventory or materials simple and efficient by consolidating every mode of reporting into a single format. Records and bookkeeping will become more streamlined and efficient with a good scheduling solution. The probability of errors falls to nearly nothing. Even better, your job shop will become more productive because the downtime for retooling in preparation for the next task can be cut drastically. Speaking of scheduling, if you’re a job shop owner considering implementing production planning and scheduling software into your operation, I recommend you put Software Advice on your schedule. It’s a good resource for small-to-medium-sized manufacturers or any contract manufacturer. Software advice can provide pricing comparisons, a buyer’s guide, consultation even. We’ve got a job shop software buyer’s guide of our own as well, if you want to check that out. Consider how your current job shop software is performing (if you have it in the first place). Could it be easier to work with? Is it passing scheduling muster? Are you, as Steven Covey suggests, scheduling your priorities?